A prized gastronomic ingredient as well as a traditional medicinal ingredient, Lentinula edodes has been a part of life of Chinese and Japanese and other Asian people for over thousands of years. Also regarded as the Elixir of Life, shiitake is well known for its umami flavor and rich nutrient contents. 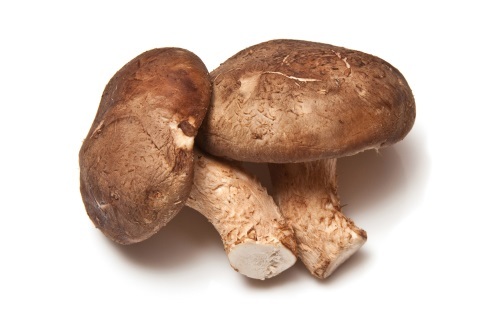 The potency of shiitake is believed to remain even when cooked, but it is probably most potent in aqueous form. Records have shown that the mushroom was cultivated in China round 900 AD. Shiitake is also called lentinula, forest mushroom, black forest mushroom, black mushroom, oakwood mushroom, sawtooth oak mushroom, golden oak mushroom, pasania fungus and hua gu (flower mushroom). Originate from Eastern Asia and cultivated globally for its adaptogenic properties. Shiitake possesses anti-viral, anti-bacterial and anti-fungal properties and is traditionally a popular remedy for, or preventive remedy against flu, colds and candida infections. Whereas its anti-inflammatory properties helps to reduce bronchial inflammation. The mushroom is also prized for its revitalizing properties – boosting the energy levels in both older and younger individuals, including those who are suffering from work fatigue to lead a more vibrant life. Anti-aging, the mushroom is also famous for its purported ability to protect the skin from free radicals and halt the premature aging process; firm up the skin and hasten skin regeneration and renewal for a more luminous complexion. Shiitake contains purine, anybody who is prone to gout and uric acid kidney stones should avoid this mushroom. The mushroom possesses histamine-sensitizing factor which can cause dermatitis and skin rashes therefore individuals with allergies are advised to consult their personal physicians before taking any products containing Lentinula edodes. Individuals who are taking blood thinners or suffering from bleeding disorder must consult their personal doctor before taking the mushroom as it can prevent blood from coagulating.